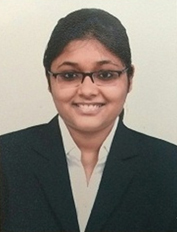 Ms. Apoorva Pathak is working as Teaching Associate with the School of Law, Auro University since August 2018. She has done BALLB (Hons.) from Baroda School of Legal Studies, Faculty of Law,Maharaja Saiyajirao University of Baroda, Gujarat. She has done LLM from Gujarat National Law University, Gandhinagar with a specialization in Intellectual Property Rights Law. She is pursuing PG Diploma in Human Rights Law from National Law School of India University, Bangalore. Her areas of interest are- IPR Law, Contract Law, Jurisprudence, International Law and Human Rights Law.